Davao City Mayor Rodrigo Duterte won the hearts of the GULP Generation, garnering 53% of the GULP votes in the unofficial and unscientific 7-Election presidential poll. “Although the sales-based and unscientific 7-Election presidential poll predicted the winner, the real winners here are the Filipino people. They were able to support and promote their candidates in a fun and positive way,” said Lee Esguerra, Marketing Communications Division Head of Philippine Seven Corporation. The 7-Election was a way for Filipinos to show their support for their presidential candidates in a fun way. People posted photos of the definitely Instagram-worthy Gulp cups – some incorporated in selfies and groufies with family and friends, some with long and passionate captions on why they support the candidates, and others with short witty remarks. In spite of the divisive nature of the campaign, the spirit of unity was present online as some barkadas stayed true to their convictions by buying their candidates’ Gulp cups and posing for a photo together. These posts stood out in the midst of mudslinging and social media “unfriending”. “Duterte led in all regions all throughout the campaign. 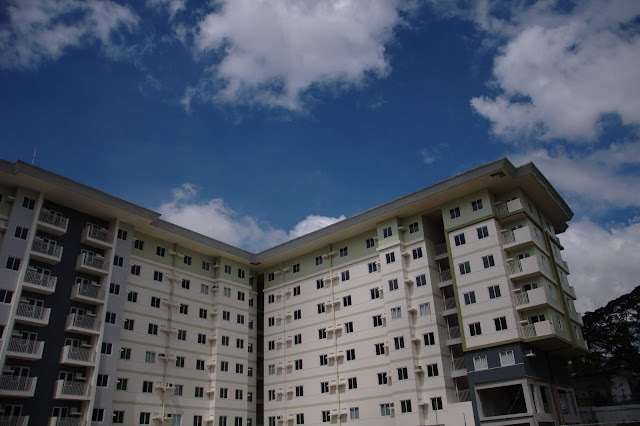 The Undecided Cup was also consistent in the second rank until the end, which may mean that people have been carefully weighing their options until the final week,” said Esguerra. The 7-Election campaign ran from March 24 to May 2, and involved not vote counting machines but GULP machines and cups. It upheld a clean and transparent process based on sales data, and results are posted online weekly. 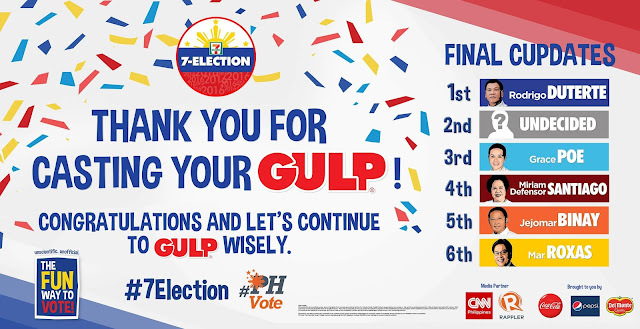 7-Eleven Philippines pioneered this fun and unofficial poll in 2010 when it successfully predicted the win of President Benigno “Noynoy” Aquino III. The campaign was patterned after the 7-Election campaign in the US which, through the help of 7-Eleven Coffee, accurately predicted the wins of George W. Bush over John Kerry in the 2004 Election and Barack Obama over John McCain in the 2008 Election.